Also known as “That's Risky” (unofficial). Added on: May 19, 2013, 10:18 p.m.
Rhein-Main-Mini Social, 8. 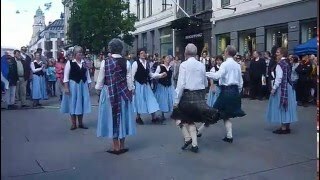 Juni 2018 (MZ) 2018-06-08 Narhalla Dancers May 23, 2018, 2:26 p.m.
Darmstadt_2018_02_26 2018-02-26 OnYourToes Darmstadt Feb. 24, 2018, 8:05 p.m.
Darmstadt_2018_04_30 2018-04-30 OnYourToes Darmstadt April 28, 2018, 4:33 p.m.
FSCDC 15 March 2016 2016-03-15 Anselm Lingnau May 31, 2016, 11:21 p.m.
St Andrews 2014 Week 3 Thursday Andrew Locke July 6, 2014, 7:17 p.m.
140807 w3 Thursday Younger Hall 2014-08-07 Martina Mueller-Franz April 1, 2014, 5:01 p.m.
Munich Whitsun Course 2016 Welcome Dance 2016-05-13 Matthias Rank Feb. 19, 2016, 12:40 p.m.
Rhein-Main-Mini-Social, 7. Mai 2018 (DA) 2018-05-07 OnYourToes Darmstadt March 6, 2018, 8:08 a.m.
Berkhamsted LEX Dance (for Less EXperienced Dancers) 2016-12-09 Jane Rose Nov. 8, 2016, 2:56 p.m.
Berkhamsted LEx Dance 2016 2016-12-09 Robert Baker-Glenn Oct. 31, 2016, 9:23 p.m.